The fate of a kingdom rests on the shoulders of three young wizards who couldn't be more different. Bakari is a brilliant scholar wizard who's more at home in a library than a battlefield. Alli is a beautiful young battle wizard whose grace in battle is both enchanting and deadly. Roland is a counselor wizard with a seemingly limitless depth of untapped power -- and the ego to match it. 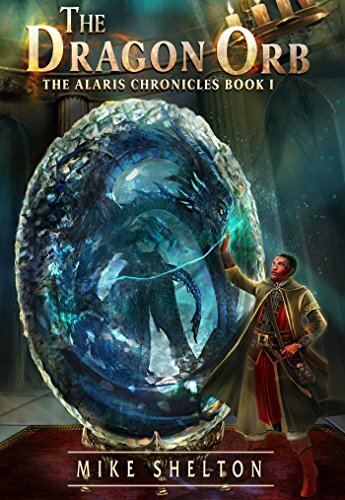 As the magical barrier protecting the kingdom of Alaris from dangerous outsiders begins to fail, and a fomenting rebellion threatens to divide the country in a civil war, the three wizards are thrust into the middle of a power struggle. When the barrier comes down, the truth comes out. Was everything they were taught about their kingdom based on a lie? Will they all choose to fight on the same side, or end up enemies in the battle over who should rule Alaris?